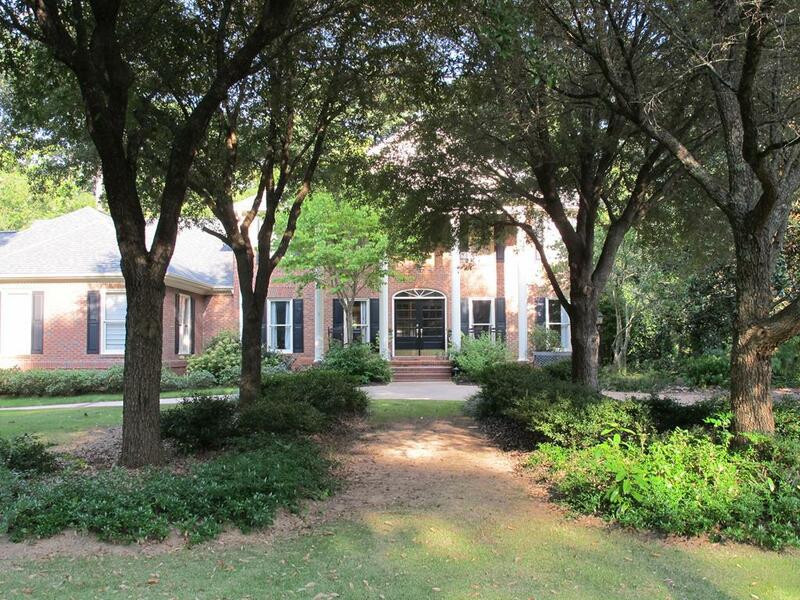 Spectacular Southern Traditional home in Greenwoods desired gated community Gatewood. 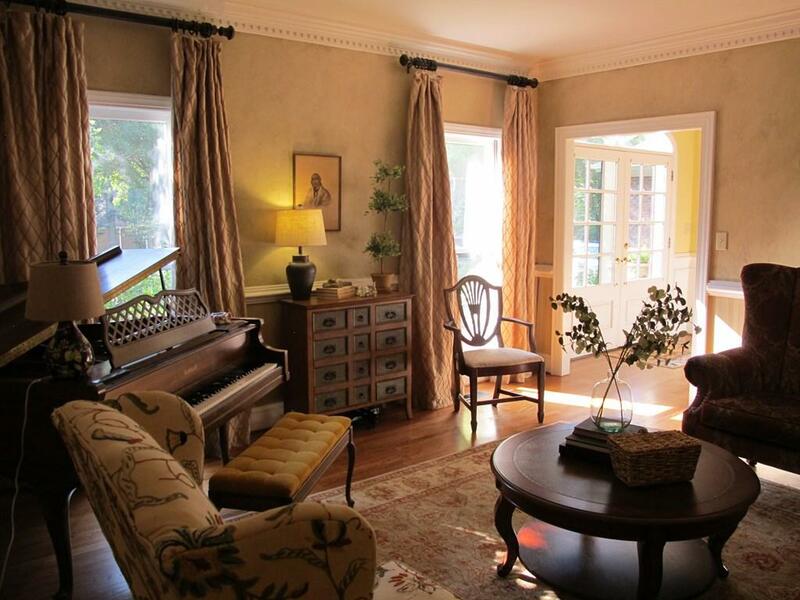 As you drive into the circular drive you will find this timeless beauty that features seven bedrooms with five and a half baths. 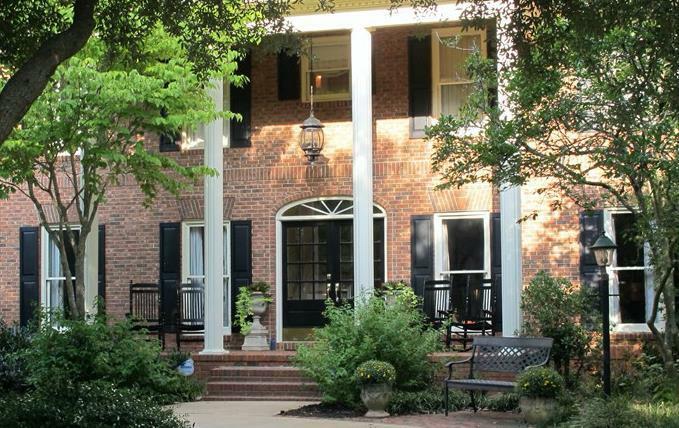 As you enter the double door entry the formal living room and dining room are located off the foyer. Beautiful hardwoods thru out with beautiful crown moldings and a large inviting family room with custom built-ins and hidden TV with cozy fireplace. Open floor plan with large spacious kitchen with beautiful granite and upgraded appliances in 2018 with custom cabinets with plenty of storage and a large granite covered island. The master bedroom suite is on main level and is a new addition featuring beautiful vaulted plank ceiling with recess lighting with adjoining master bath suite that as you enter you pass his/her over-sized closets with built-ins on each side. The master bath does not disappoint with floor tub as focal point with double vanities and oversize custom tile shower. The luxury master bathroom also has it's own hot water heater. Also on the main level is another bedroom with jack and Jill bath to study, laundry room, half bath, and a beautiful sunroom/eating area with sky lights and floor length windows overlooking beautiful back yard with landscape and brick patio with walking paths. Downstairs you will find a game room, eating area, kitchenette, large living area with fireplace, bathroom, bedroom and another laundry room. Great area that could be a mother-in-law suite with the 3 1/2 car garage that you enter on this level. Endless possibilities for this great space! 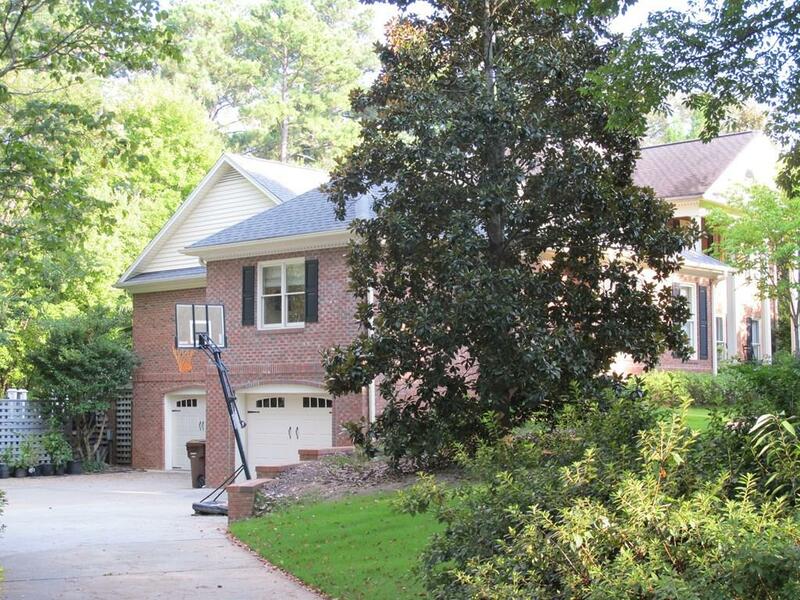 This home is perfect for large or growing families. Monthly HOA includes community pool overlooking lake, tennis courts, several stocked ponds, clubhouse and walking trails.